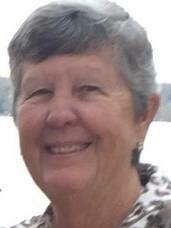 Carolyn "Jo" Boyd, 75, of Williamsburg, passed away on Tuesday, September 12, 2017 at her home on Lake Skegemog, after a short battle with Leukemia. Jo was born on October 3, 1941 to the late Charles and Adelaide MacLean in Lansing. She graduated from Lansing Eastern High School in 1959. She received a Bachelor of Science degree in 1963 from Indiana University and a Masters degree in counseling from Michigan State University in 1968. Jo was a guidance counselor at Pattengill Jr. High/Middle School for 35 years and retired in 1999 to her cottage on Lake Skegemog. She spent winters in Venice, Florida. She enjoyed traveling, her antique business, volunteering at Acme Christian Thrift Store and Food Pantry and the United Way. Jo was preceded in death by her parents and her brother, Douglas MacLean. She is survived by her niece, Allison (Ronny) Lawrence; great niece, Charlotte Ruby Jo Lawrence and sister in law, Karen MacLean. Contributions may be made in her memory to the Acme Christian Thrift Store and Food Pantry; where all contributions support the Food Pantry; 8925 M72 E, Williamsburg, MI 49690. She will be cremated and buried at a later time. Please visit www.lifestorytc.com to sign the guest book and share your thoughts and memories with the family.